When it comes to the state lotteries operating within Australia, there is no bigger name than the Tatts Group. This market leader has a dominating presence in the lottery, wagering and gaming industries not just Down Under but globally, with services spreading to New Zealand and the UK. If you’ve ever lined up in a newsagency or retail lottery outlet to buy a ticket to an Aussie Powerball game or an instant scratch card, then it’s highly likely you’ve utilised the services of the Tatts Group. This article will take you through the different Australian state lotteries that are operated by Tatts and where you can play each one. Tatts Group has been in operation for 133 years, making the brand one of the longest running and most reputable gambling operators in the world. The company first emerged in 1881 when the first ever Tattersall’s public sweep of the Sydney Cup was held by Tatts founder George Adams. Over the decades Tatts Group has established market dominance, with a long list of established gambling brands operating within the Tatts banner including TattsBet, NSW Lotteries, TAB, Maxgaming, Talarius, Bytecraft and Golden Casket. The Tatts head office operates out of Brisbane with services not just limited to lotto but also covering sports betting, racing and footy tipping. TattsLotto is one of Australia’s biggest ongoing lotteries, with multi-million dollar draws happening every Saturday. Punters pick numbers from one to 45 in hope that their lucky numbers will be drawn from the Saturday ball barrel, with six balls drawn as winning numbers along with two supplementary numbers. Tickets are available in the form of marked coupons, QuickPicks, System Entries, Pick Entries, Multi-week Entries and Advanced Entries. The standard weekly Division One prize pool is AUD $4 million, with Superdraws of up to AUD $20 million happening throughout the year and the epic $30 million Megadraw held annually around Christmas/New Year. Tattslotto is available to residents from all states and territories in Australia. The Tatts Oz Lotto is drawn every Tuesday night, with a minimum Division One prize pool of $2 million Aussie dollars and a jackpot that has been known to reach as high as a staggering $50 million. There is a range of pick options available, with tickets starting from as low as $1.20. Oz Lotto winnings are based on the results of the draw of seven balls numbered from one to 45. Tickets to the Oz Lotto can now be purchased online. Oz Lotto is available to residents from all states and territories in Australia. This Tatts Group lotto comes from the American game of Powerball, giving Aussie punters the chance to win jackpots between $3 million and $50 million every Tuesday night. Powerball uses two separate draw barrels, one where six winning balls are drawn from 40 numbers and the other where one winning number is drawn from 20 numbers (hence the term “powerball”). There are eight different prize divisions in Tatts Powerball; to win the Powerball jackpot, punters need to match the winning numbers from both barrel draws. 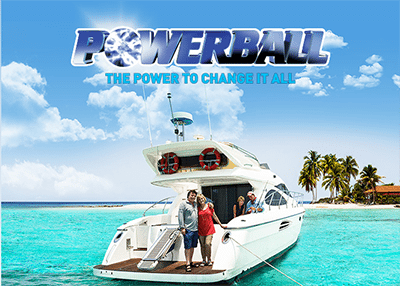 Powerball is available to residents from all states and territories in Australia. Lucky Lotteries is one of the newer games in the Tatts portfolio and offers the stand out feature in that one winner takes all, unlike most other lotto draws where the prize pools are split by the number of winners. Lucky Lotteries also works a little differently, where each game has a set amount of tickets available per draw (there are two draws – Lucky Lotteries Super Jackpot and Lucky Lotteries Mega Jackpot) and players choose random or sequential ticket numbers, the amount of tickets and which draw to participate in. Once all the ticket numbers have been sold, ticket winners are drawn at random and the winner takes all. Lucky Lotteries is available to residents from all states and territories in Australia. The famous Monday and Wednesday Lotto is drawn every week and is very similar to the Saturday TattsLotto. The Division One prize pool consists of a guaranteed one million dollars and can be split by up to four winners. There are also special draws happening throughout the year where the jackpot can reach double the usual amount and tickets start from as little as $2.40 per game. Monday & Wednesday Lotto is available to residents from all states and territories in Australia. Super 66 is a mini game that’s played in addition to OzLotto, TattsLotto, Powerball, The Pools and Monday and Wednesday Lotto. It can be played alongside these games simply by marking the ‘Super 66’ check box on your lotto coupon or requesting that it be added to your QuickPick ticket, which will only cost you around $1.66 per game. It’s a random number generated game with a winning six digit figure made up from numbers one to nine and there are five prize divisions up for grabs. Essentially Super 66 provides a second way to win on top of the main Tatts lotteries. Super 66 is available to residents from all states and territories in Australia excluding NSW. Super 66 isn’t available for NSW players, but Sydneysiders have their own version called Lotto Strike. A lotto game of a different kind, The Pools offers players the chance to pick the draws from European, Aussie and global soccer matches, with winning numbers based on results of the soccer games rather than numbers drawn out of a barrel. Punters choose six numbers from the 38 listed on the Match List and winnings are determined by the ranks of each soccer games. If you’re not big into sports, you don’t need to be a soccer fan to play The Pools as you can still play as a game of chance by picking lucky numbers. The Pools is available to residents from all states and territories in Australia. What Aussie doesn’t love a good scratchie card? In fact we love them so much it’s not unusual to find them stuffed into birthday and Christmas cards as gifts from relatives and co-workers. Tatts only announced its Instant Scratch-up range in February of 2015, with eight different scratch cards to choose from including $1, $2, $4, $5 and $10 Instant Scratch-it’s and Crossword scratchies. All you need to do is buy the card, scratch off the panels to reveal what lies underneath and cross your fingers that you’ll be an instant winner. Instant scratchies are available to Victorian players only.